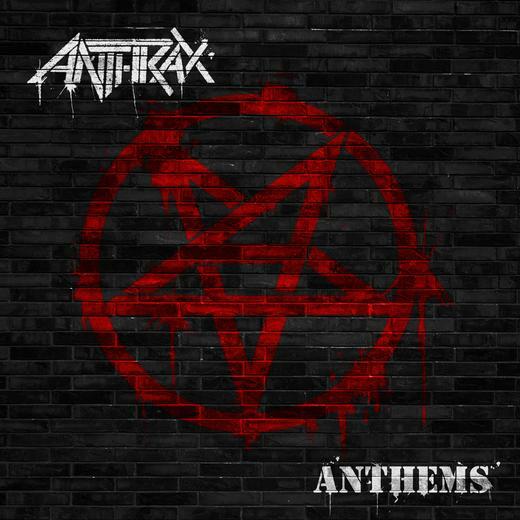 Hall of the Mountain King: Review: Anthrax, "Anthems"
So “Anthem” is the clear loser of the record, but there’s also a clear winner. That comes in their cover of Cheap Trick’s “Big Eyes,” which seems almost tailor-made for the band. It’s a catchy tune made better by the addition of just a wee bit of crunch. Belladonna puts a little gritty growl into his voice on the verse, and it’s probably the only song from this EP that will earn a permanent place in my shuffle. 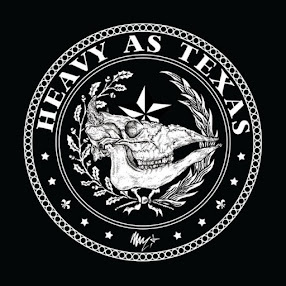 It’s good stuff, and included as a cover on an album of new material would have been great. Belladonna is the weak link on the record, largely because instead of singing the songs in his own voice, he attempts to mimic the original singer. That gets him in real trouble in some places, particularly on “Anthem.” It also causes problems with Thin Lizzy’s “Jailbreak,” as he attempts to channel Phil Lynott, but he doesn’t radiate nearly as much dangerous cool as Lynott’s voice. The first thumbs up moment on Anthems comes on the third track, AC/DC’s “T.N.T.” Belladonna does a passable Bon Scott impression, and it helps that it’s always been one of my favorite AC/DC tunes. For the arena rockers on the list, Belladonna’s voice is actually more fitting. It works really well with Boston’s “Smokin’,” though he does admittedly oversing in places. The same goes for Journey’s “Keep on Runnin’” where Belladonna’s voice is almost unrecognizable. The harmonies on the song are pretty tight, and I’d probably like it a lot better if I had more of an appreciation for Journey. But since I don’t really like the song to start with, the cover doesn’t stick with me either. They close the record with a couple of versions of one of their own tunes. “Crawl” was one of the high points of 2011′s surprising Worship Music for me, and after a couple of bad vocal performances by Belladonna on the covers, this song really shows off what he’s capable of when he’s singing something that’s in his wheelhouse. His Chris Cornell-ish delivery on the song might be one of his best performances ever. It was the song that really won me over to Belladonna’s side when I didn’t want to like Worship Music, and it remains one of my favorites from that record. The second version is a moody remix with piano, choral-like synths and big symphonic flourishes under the chorus. It has a more modern rock feel, and I like it, but I think I’ll stick with the original. If, however, they’d shown that much innovation with a couple of the covers, this collection might have been a real winner. As it is, it’s a good EP for fans, but probably not for the casual listener. For those, I’d definitely check out “Big Eyes” and, if you like Journey, maybe “Keep on Runnin’.” If you haven’t heard “Crawl” before, go out and pick up Worship Music instead. That’s a purchase you won’t regret.